Three years ago Microsoft announced the Surface Hub, which was their new device for reinventing the conference room. It was a beast of a machine, at up to 280 lbs for the 84” model, but it was announced way back in 2015, and that’s an eternity for a computing device. Today, they are announcing its successor, the aptly named Surface Hub 2. It’s a new take on the office space, with a beautiful new design, and some interesting features not seen before in this kind of device. 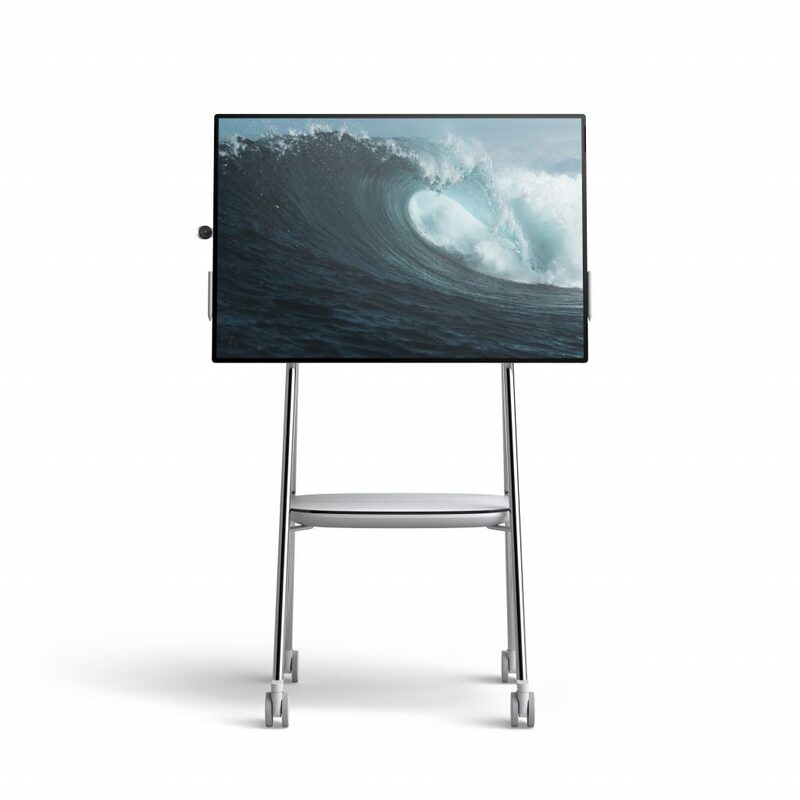 Like its predecessor, the Surface Hub 2 is designed for the conference room, and is a digital whiteboard, conferencing system, and display, all rolled into one. It features a “4K+” resolution for the 50.5-inch 3:2 display, and the 3:2 is needed because the entire device is meant to rotate between portrait and landscape as needed, with a new feature called Dynamic Rotation which lets you rotate the display with the displayed image staying static. It’s also designed to be paired with multiple other Surface Hubs, allowing them to be tiled with up to four Surface Hubs offering apps to utilize all four displays as if they were just a single one. This trick feature is helped by the incredibly thin bezels on the new device. 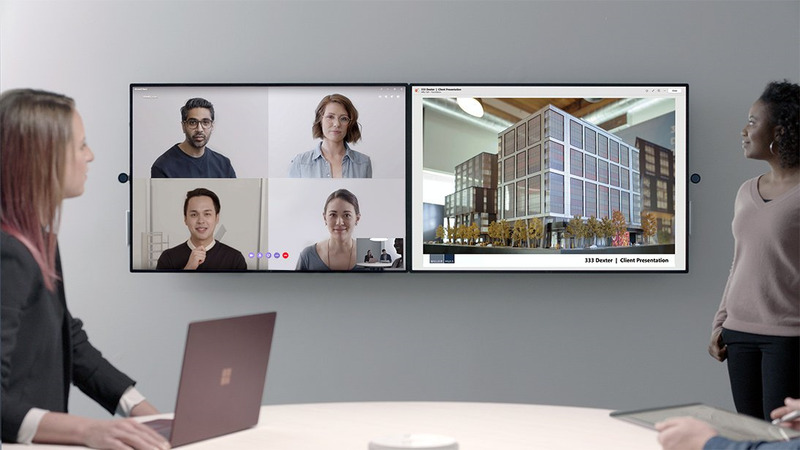 The new Surface Hub will feature Windows Hello logins, to automatically sign in people for the conference, and far-field microphones for video conferencing. Although not mentioned, it’s certainly going to support a pen interface, although we’ll have to wait and see if it’s the pen style from the original Surface Hub, or if they’ve been able to get the lower voltage pens from the rest of the Surface lineup to work on such a large display. Microsoft isn’t providing much on details yet, but are just teasing the new model for the moment. Their goal is to have it available for sale in 2019, with more information later in the year. As for pricing, the original 55-inch was first priced at $7000, so don’t expect this one to be a replacement for your 32-inch desktop monitor just yet.